A simple spring recipe packed with flavour and nutrients. Asparagus is a great source of folate, fibre and vitamins A, C, E and K.
Bring 2 cups of stock to a boil in a saucepan and add risoni. Reduce heat and simmer for 10 minutes or until risoni is tender and liquid absorbed. Take off the heat and set aside. Trim off the bottom end of the asparagus and discard. Chop the asparagus into small pieces. Bring 1 cup of water to the boil in a small pan. Add the chopped asparagus and cover. Leave to steam for 2-3 minutes until just tender. Be careful not to overcook! Drain and set aside. 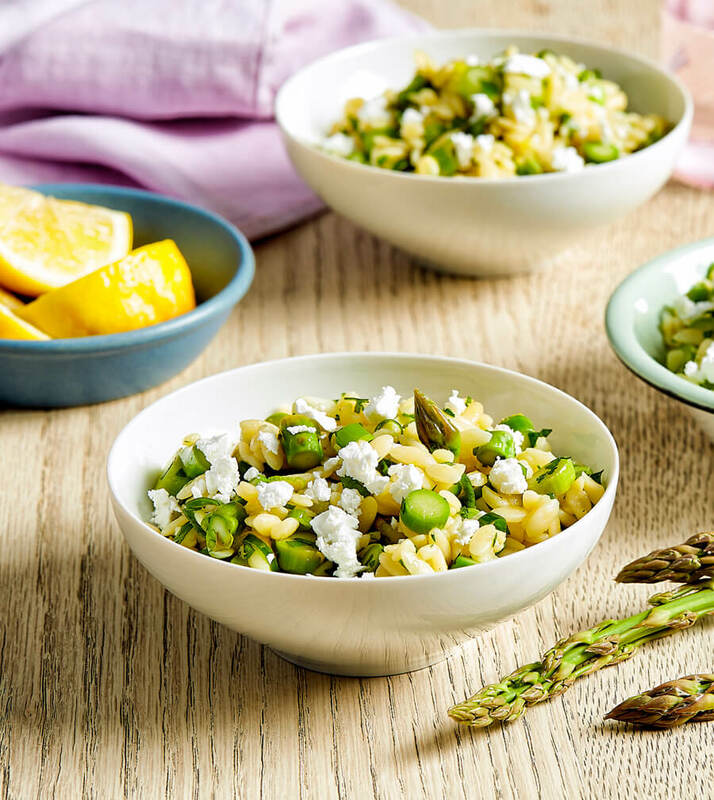 Combine cooked asparagus, risoni, lemon juice, garlic, parsley and onions in a bowl. Add salt and pepper to taste. Serve and enjoy!